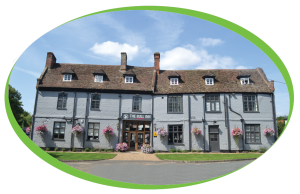 From the outside, The Bull Inn at Barton Mills may look like a very straightforward, traditional coaching inn steeped in history, however, take one step inside and you will see the phrase “never judge a book by its cover” truly come to life. The Bull Inn has a funky, modern and contemporary feel, it is guaranteed that you will never find another inn like it. 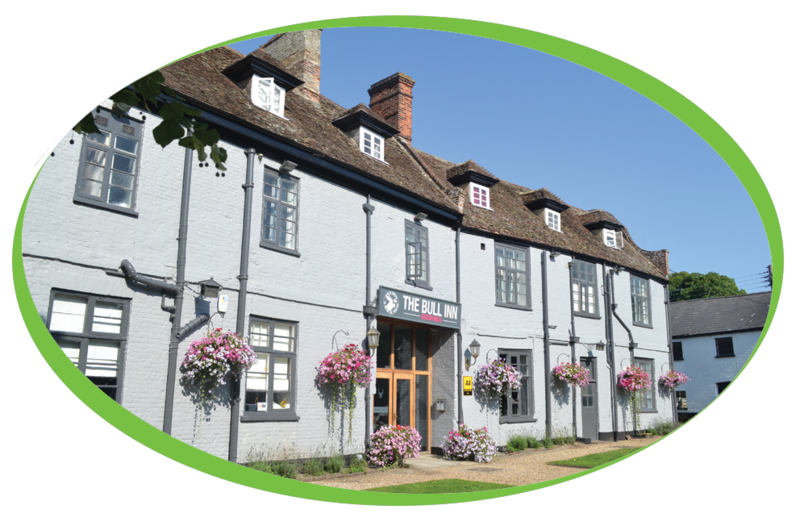 The Bull Inn is a fairly new member of the Coffee Solutions family but there’s no doubt that we will continue serving Simply, great coffee to their lovely team for many years to come. Sonia & Cheryl are the two sisters in charge of running the inn along with the help of Wayne and Smiffy, they pride themselves on their excellent customer service, really getting to know their customers on a personal level, knowing the favourite drinks of the faithful regulars to welcoming and getting to know any newcomers to the inn. The team at The Bull Inn chose a Jura x3, this professional machine delivers up to 31 individually programmable speciality coffees and another 12 barista recipes at the touch of a button, including the en-vogue flat white. 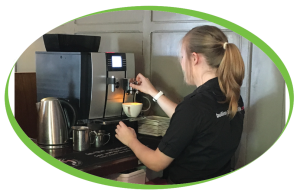 As well as offering simple operation, it takes minimum effort to refill thanks to the large bean container with a holding capacity of 1 kg and aroma preservation cover perfect for keeping the Caffe Espresso Beans fresh (although they don’t sit around in the machine for very long).